While on the street the other day, I was asked by a very visually stressed Casting Director to be an extra in a movie. Thinking this would be an interesting venture and a promise of 50 dollars, I readily accepted. My job was simple, sit in the Warner Grand Theater and clap; that was it. Nothing interesting occurred in my appearance as an extra but I met a great deal of up and coming artists-- many, interestingly enough, immigrants from Iran. I was shocked to hear this because this was in the wake of my first article being published on YouthCake, which was all about Iranian-American politics. While sitting down during our breaks in the theater, I chatted with many Iranian Directors and Actors who were just making their ways in the film industry. My job and passion as a journalist require that I search for, and document perspective, so naturally I was really excited to be surrounded by such an interesting group of people. It was at this point where the news and history became all too real to me. I chatted with a man who gave me his early life story being born in Iran as a Kurd and his journey from converting from Islam to Christianity. This provided me with a very uncovered and marginalized perspective when talking about Middle Eastern politics in both respects of ethnicity and religion. He described to me how his Uncle was taken by military police in the middle of the night on Christmas Eve for no suspected reason besides his faith. His arrest would be followed many more where many members of the most prominent Farsi speaking Christian Churches in Iran were arrested, and released the day after Christmas. This caused him to embark on a journey: to leave to Turkey to flee the persecution he experienced in Iran, and to eventually settle in the United States. The Kurds may well be the most marginalized group in the Middle East. 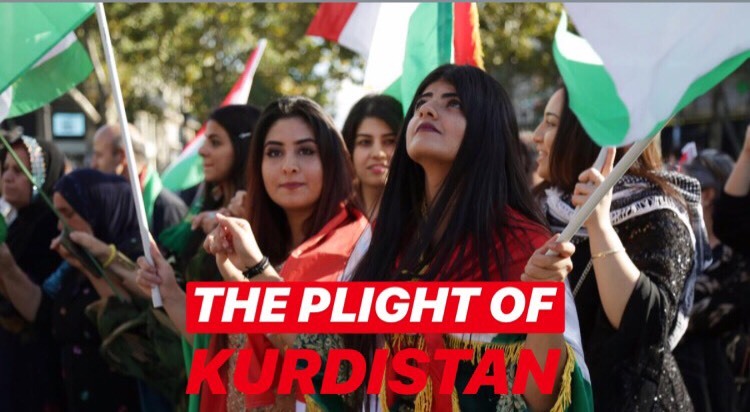 The modern nations of Iraq, Syria, Turkey, and Iran all have a significant amount of Kurdish people in their borders but refuse to acknowledge their claim to statehood, or sometimes even their identity as a people. In the 1920s, the Turkish government forcibly displaced thousands of Kurds and illegalized Kurdish language and culture. More recently, from January to March, the Turkish army and Syrian militias displaced, looted, and razed Kurdish villages in the Aleppo province in Syria. In September of last year, the Kurdish people of Iraq organized a referendum where 93% of Kurds voted to secede from Iraq. This was an unprecedented moment in Kurdish political history and considered by many to be a closer step for Kurdish sovereignty. The referendum was later deemed “Illegal” by the Iraqi government, despite Kurdistan being considered a semi-autonomous region. This event triggered a response that has echoed throughout the middle east and roused up fear amongst the governments of Iraq, Syria, Turkey, and Iran. It was my learning and understanding of this that I couldn't help but draw parallels with the nation states of the Americas. Being a young Indigenous man of Central America, I was intrigued to hear the perspective of a man Indigenous to the Middle East who himself can’t call one nation his own. From Canada to Chile, the Indigenous people transcend borders and politics who, much like the Kurds, have been subject to same types of atrocities throughout their histories. This pattern of repression and indifference seems to be replicated in almost all indigenous peoples throughout the world in the struggle for independence in response to neocolonialism. Why doesn't America grant Hawaii or Puerto Rico sovereignty? Or Spain to Catalonia? Because of the newly found interconnectedness of the world, Independence movements have become more relevant and covered than ever before. It is still uncertain the fate of the Kurdish people but they as a people, they are determined and resilient in their plight to keep their Identity and their homeland.